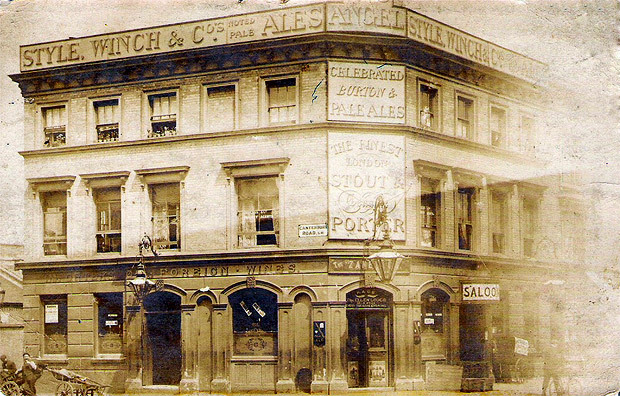 Proudly billed as a ‘Magnificent Site To Be Let,’ this Edwardian photo shows the corner of Kenbury Street and Coldharbour Lane on the Brixton/Camberwell borders awaiting development. 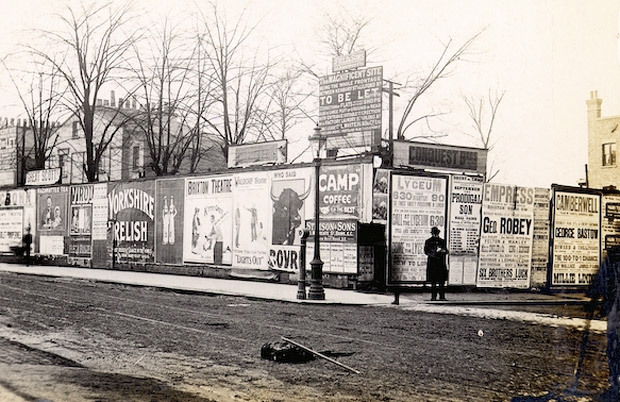 Much like today, hoardings around a building site quickly become a magnet for flyposters and there’s a fascinating selection on offer in this 1905 image. 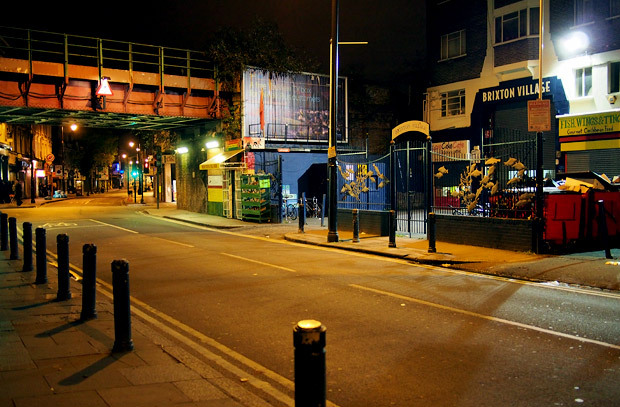 In the street photo (to the far left) can just be seen an advert for the malt extract ‘concentrated food’ Virol, whose enamel signs graced many a railway station across Britain in the early 20th century. 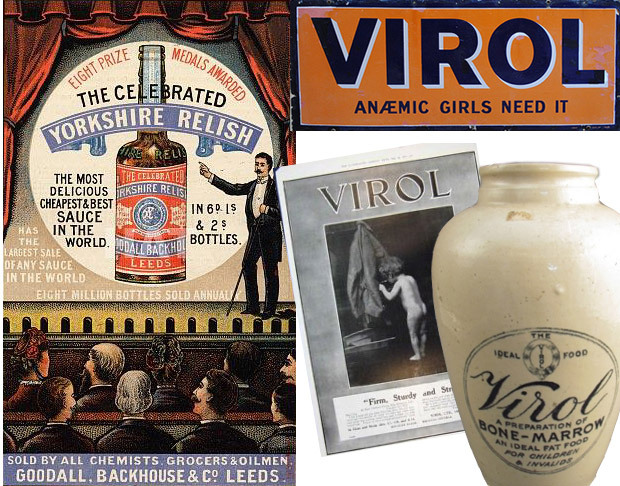 Produced experimentally by Bovril at their Old Street factory in London in 1899, Virol was registered as a separate brand the next year and quickly went on to enjoy great popularity for over half a century [read more]. The largest poster on the hoardings advertises Yorkshire Relish, which was once a hugely popular sauce, boasting the ‘largest sale of any sauce in the world’ with ‘eight million bottles sold annually’ around the turn of the century. There’s a large thread on the urban75 boards discussing Yorkshire Relish that’s well worth a read, with one of the posters having family connections to the firm going back four generations. Another poster on the hoardings advertises a production at the Brixton Theatre which used to stand on the site now occupied by the Ritzy cinema. 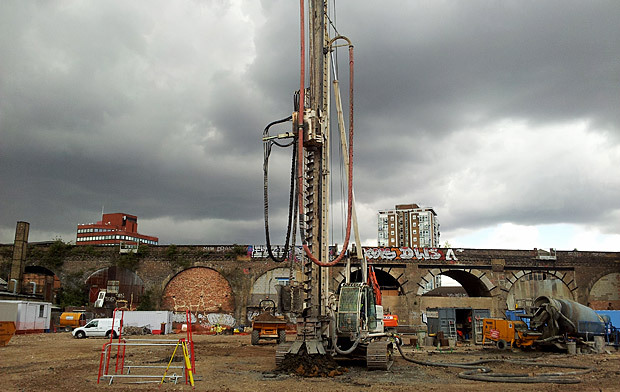 Once the jewel in the Brixton’s theatrical crown and famed for putting on productions to rival the West End, the building was flattened in a World War 2 bombing raid. 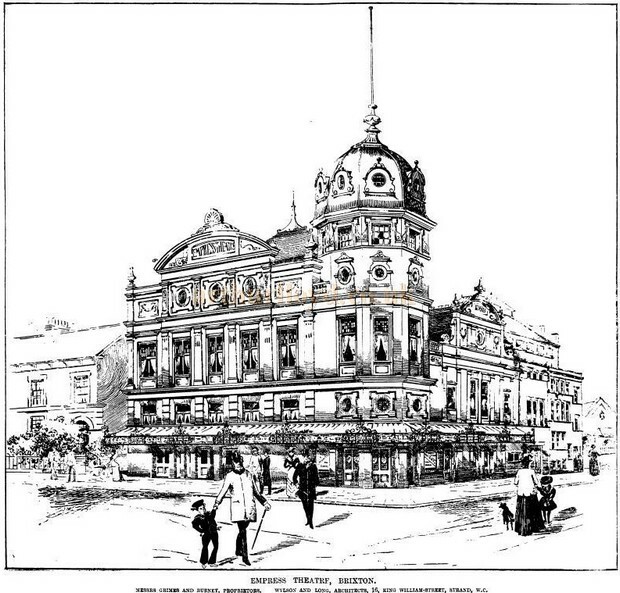 Read more here: Brixton Theatre 1894 – 1940. As well as the usual Bovril and Camp Coffee adverts there’s also a poster for the Brixton Theatre’s great rival, the Brixton Empress. Sporting splendid late Victorian architecture, the building opened on Boxing day 1898 as the Empress Theatre, and was designed by the noted theatre architectural firm Wylson & Long. 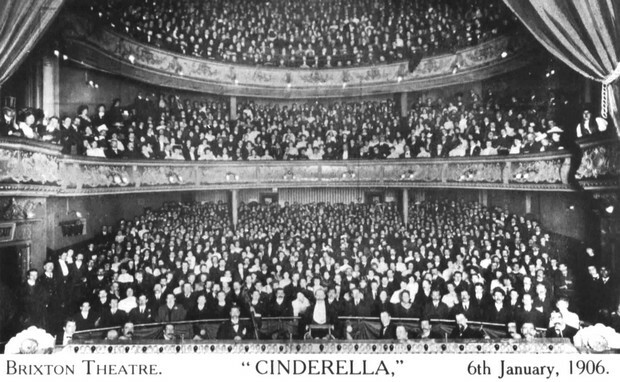 The theatre could pack in 1,260 seated customers, on three levels, stalls and pit, Dress Circle and Gallery, and featured a large stage which measured 60 foot wide by 40 deep and in 1909. 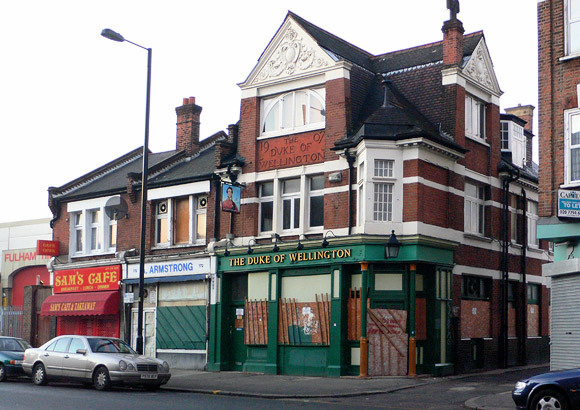 The theatre was glowingly described by Bioscope as ‘one of the finest of London’s suburban music halls’. Later re-named the Empress Theatre of Varieties and then the Empress Music Hall, the building was re-constructed in an Art Deco style by architect Andrew Mather in 1931 and the seating capacity extended to 2,000. It reopened as the New Empress Theatre in September that year. Max Miller played the last music hall/variety bill at the Empress, and in 1957 the theatre was converted for cinema use and renamed the Granada Cinema. Above is a still from its glitzy, showbiz reopening [see Pathe film footage here] showing the Stockport-born “pneumatic 32FF-cup glamour model” Sabrina swishing past the crowds. According to Wikipedia, British RAF crews dubbed part of the Hawker Hunter jet fighter plane “Sabrinas” due to two large humps on the underside of the aircraft. Spending its last years as a run-down Bingo Hall, the end to the Empress finally came in 1978. It was used as a furniture store for its last years before being demolished in 1992. Some rather unremarkable housing now stands in its place. 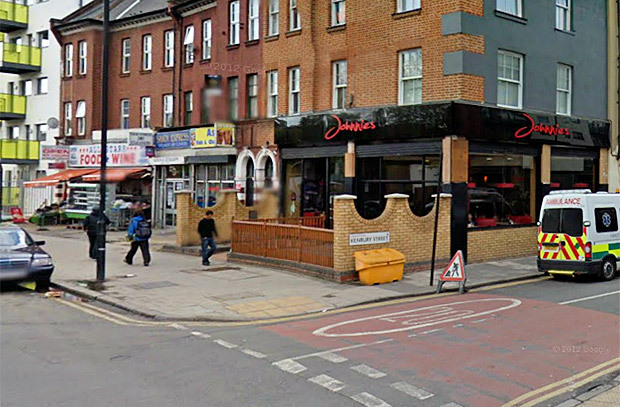 Playing down the road in Camberwell was the comedian and singer George Bastow – this audio recording gives a good flavour of the kind of thing you might have heard in south London theatres in the early 1900s. 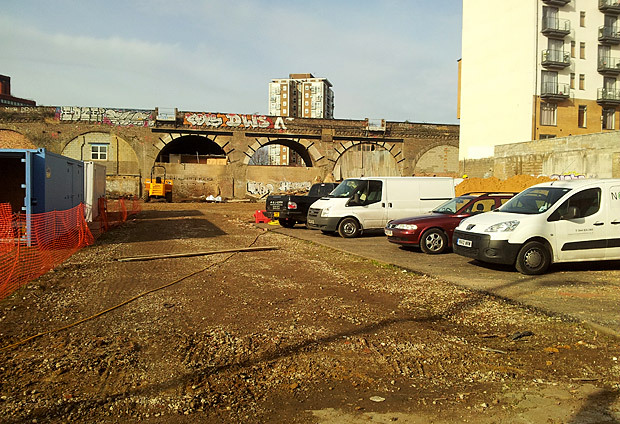 For a comparison with the photo at the top of this feature, here’s how the corner of Kenbury Street and Coldharbour Lane looks today. I think you mean 42″ !